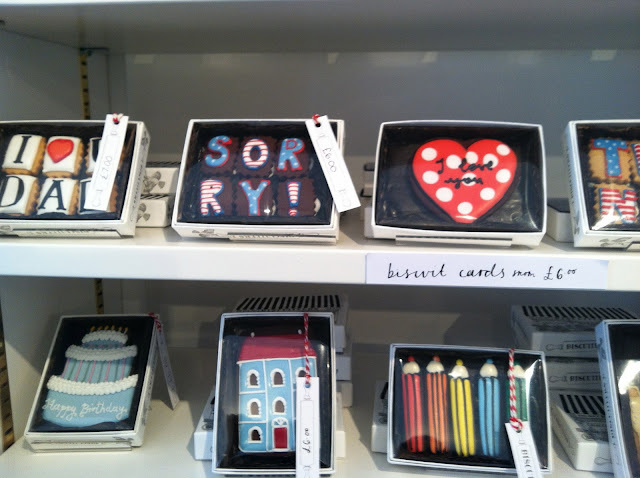 Crafty Cookies: The Cookie Shop of My Dreams: Biscuiteers! The Cookie Shop of My Dreams: Biscuiteers! Every now and then I dream about opening a quant little cookie shop somewhere, spending my days baking and decorating treats. And if I were to do so, I would want it to be just like Biscuiteers. My husband and I spent a glorious (but cold) week in London over spring break, where we explored some new parts of the city. While walking around Notting Hill, we stumbled upon this cute little cookie (or biscuit, as they say in England) shop called Biscuiteers. 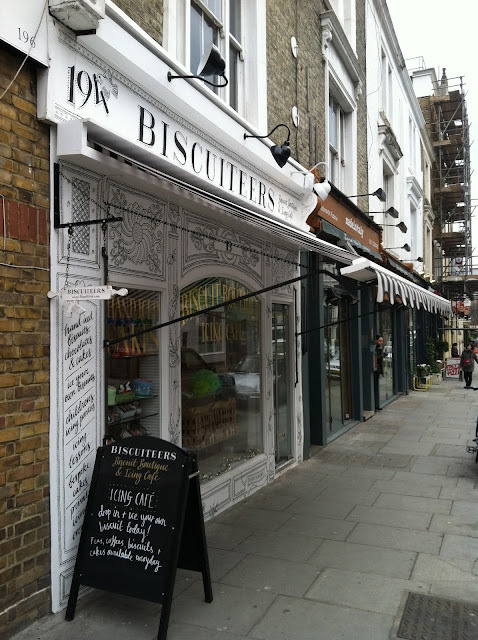 I had heard of Biscuiteers before, but didn't know they had a shop. Let me tell you, this shop was probably the most amazing place I've been to in a long time. It was all of my cookie dreams come true. The store beckons you with its cookie replica of Buckingham Palace. Just look how cute those guards are! Once inside, the place is a sight to behold. Amazing. The cell phone pictures aren't really doing the place justice (of course, this was the day I didn't carry my good camera). What I really loved about the store was their packaging. The cookies, while super cute, look even better in their lovely boxes and tins. It is good to know someone will pay six pounds (about $9!) for a boxed cookie. I love, love, love their cookie tins -- so much so that I bought one just to have. A tin of about nine cookies will set you back 30 pounds (or $45). I can easily see why people pay that much for cookies. The packaging is just something extraordinary. How cute are these cookies on a stick? These would make a great stocking stuffer or little gift. Of course, I love the British theme of these cookies (the London Eye, a telephone booth, and a black cab)! Downstairs, the shop has a small cafe where they host decorating classes and where you can even ice your own cookie. 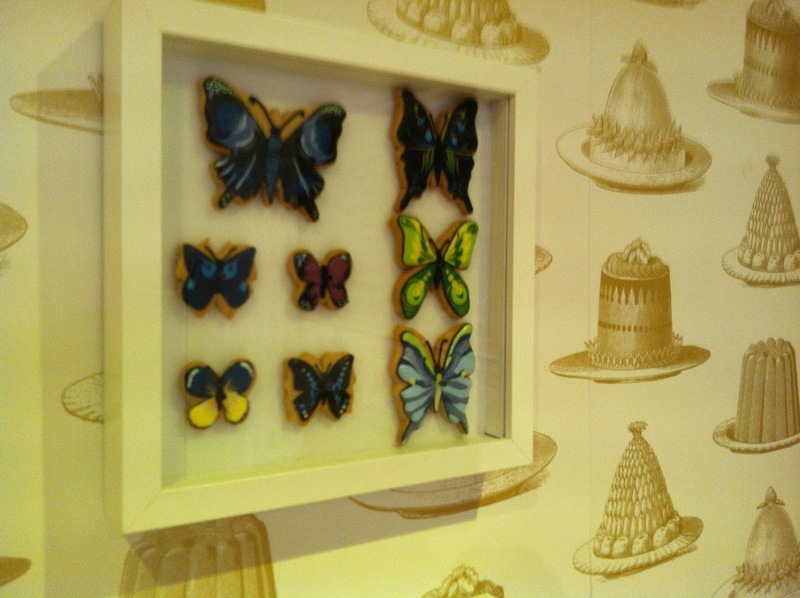 I loved their wall decorations - framed butterfly cookies. 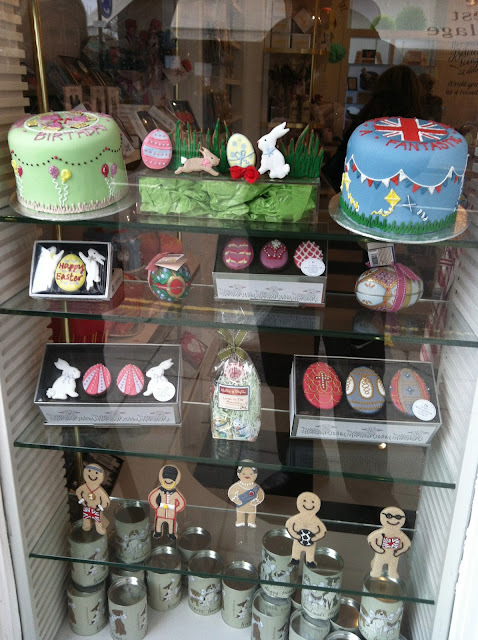 Back upstairs, the shop has a nice display of cookies for purchase. You can buy them individually or make your own tin. We split a chocolate lion cookie, which made for a nice pre-lunch treat. I was definitely taking mental notes while in this shop and plan to incorporate some elements in my cookie packaging. 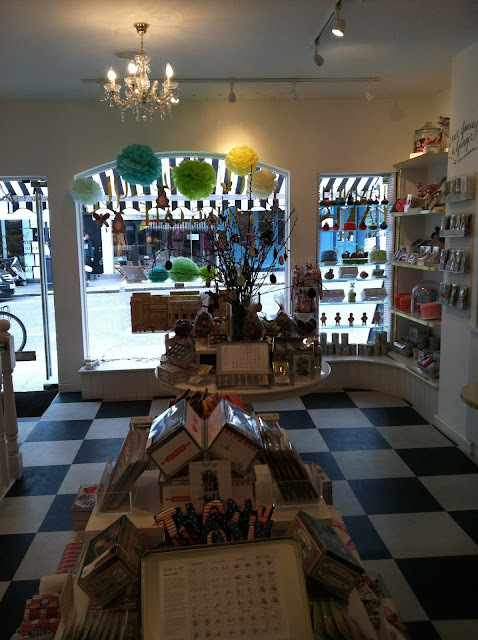 If you are in London, do yourself a favor and take a stroll through Notting Hill and stop for treat at Biscuiteers. I hope to be back to baking and sharing some treats soon. But for now, I'll get back to lesson planning while dreaming of my some-day cookie shop!